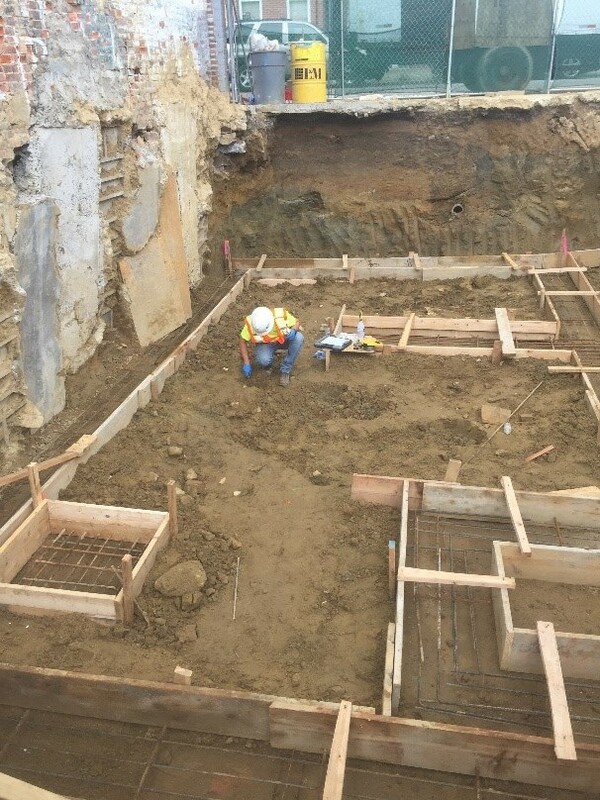 During redevelopment of a former industrial property, gasoline impacted soil and groundwater was encountered within and below the footprint of proposed residential structures. Based on the spatial extent of contamination and juxtaposition within the city block, the ability to remediate all impacted soil could not be feasibly completed. After other environmental consultants were kicked off the job due to poor planning and project approach failures, Brickhouse Environmental was retained to assist with environmental consulting, vapor intrusion mitigation, and related tasks consistent with requirements of the Land Recycling (Act 2) Program. A successful project approach was identified using Site Specific Standards and elimination of exposure pathways. 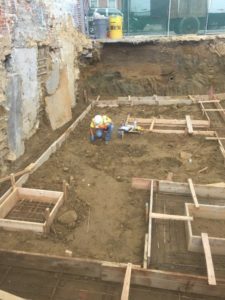 To address the vapor pathway and provide flexibility between regulatory standards, vapor mitigation infrastructure was installed and coordinated with ongoing construction activities. Mitigation infrastructure included a “boot and suspenders” approach with installation of a vapor barrier and plumbing for a sub-slab depressurization system (SSDS), Brickhouse completed the design, sourcing of materials, monitoring of system installation, and generated construction specifications and drawings suitable for regulatory reporting. Following successful completion of the project, Brickhouse was retained to complete the Act 2 process and demonstrate attainment of standards using the identified project approach. Consistent with Act 2, work including soil delineation sampling, groundwater monitoring well installation and sampling, contaminant fate and transport modeling, and regulatory reporting will be completed.